Absolutely outstanding service and attention to detail. If you need anything box or move related this is the place to go. Roxann is delightful, professional, knowledgeable and prompt. Will definitely use again. Cannot get better customer service than that offered by Roxann at Box Em Up. Very responsive to requests and fantastic delivery time. Cannot recommend more highly!! Couldn't be happier with Box Em Up. Roxann offered to drop off to me, the product was in excellent condition and I didn't have to wait more than an hour - serendipitous. Will absolutely be using the service again, especially as it's so hard to find good quality over the internet. Highly recommended service. Thank you. Excellent service. Roxann knows her business and offers assistance without having to ask. All the products we ordered were ready for collection on our arrival. Recommend her highly for your next move. Would highly recommend Box Em Up for your next move. Roxann was fantastic to deal with. Will use again without doubt. Absolute amazing professional and friendly service! Roxann provides that personal touch at a very stressful time of moving! She was flexible in placing the order and delivering it, fitting in with my time frame, despite having her own commitments. I have moved many times and would definitely recommend the service she provides, and it's great value for money......what more could you ask for! Found Roxann through word of mouth from friends. She's brilliant. Lovely lady that makes a not fun task of moving way more manageable. Dropped boxes off several times for me. Highly recommend her for any type of move. Great local business. Terrific range of packaging products and accessories. Roxann goes the extra mile to help her customers (e.g. dropping boxes off, letting me look at products after hours etc). Highly recommended. Very highly commended. Fantastic customer service and great pricing! Thanks Roxann for your advice and super efficiency. So glad my niece recommended Box Em Up to me. Roxann took the stress out of packing/moving for me. Roxann had all the products I needed and even delivered them to my home so I could keep on packing. Roxann you were a "lifesaver" with your friendly manner, excellent products and I would certainly use your business in the future. Roxann I am more than happy to recommend your business to my family, friends and anyone who reads this review. We used Box em Up for our last 2 moves. Roxann personally delivered our boxes to Sunshine Coast from Brisbane. Great service and communication response time. Even loaded all the boxes for me too! Definitely highly recommend! Roxann provided packing supplies very quickly. Very friendly and easy to order. Recommended by my removalist and very happy with that recommendation. Excellent service by Box Em Up and Roxann. I have used Box Em Up 3 times and on each occasion the service has been brilliant. Nothing is ever too much trouble and Roxann will go out of her way to help in anyway she can. Very very happy with the service and products. Delivered the same day! Cannot recommend enough! Very impressive. What a refreshing experience, everything was really well explained and delivery of all requested products happened the next day, super impressed. Box em up - Roxann was great. She helped to make my move that much easier, by providing strong, sturdy and suitable size boxes. She gave me great tips on packing. Pricing was good and when someone tells me they are moving and they need boxes etc !, I will definitely tell them about Roxann at box em up ! Roxann is fantastic. I had no idea what I really needed for our office move but she was all over it once I gave her an overview. Made it very easy for us and delivered to us last minute. Would highly recommend using Box Em Up for any type of move. Great service! Great value for money! Delivered additional boxes to our door to take some stress out of our move; much appreciated! Fantastic to deal with a local business who responds quickly, has excellent pricing and a complete range of products for our move. Dealt with my error in ordering the wrong size and cheerfully arranged the replacement and refund. An absolute pleasure to deal with! Moving is stressful but Roxann at Box Em Up is a calm port in the storm. Very reassuring and professional. Fast, affordable, friendly. Roxann responded to my request within minutes and delivered my order within an hour. Amazing. Fully recommend. Easy to do business with. Tried to save me money, rather than make me buy stuff at full price. I appreciated that. This business is excellent. Service is prompt, products are good. Rexann was very helpful. I would (and do) recommend them to anyone moving. Roxann provided an excellent service, delivering the boxes to me very quickly. I would highly recommend Box Em Up and use them again. Highly recommend this business. I had to move quickly and they had the boxes to be pronto. They were great to deal with and couldn’t have been more eager to help. I forgot to ask for tape, so she jumped in her car and had it to me in s few minutes. Friendly and efficient. Roxann was wonderful and so quick at helping me with my moving needs. The order was swift and exactly what I wanted. Very happy with her service, a must recommend! Roxanne made good suggestions for packing the painting I was sending and delivered the box and packing materials the next day. Great service! Roxann is exceedingly helpful and very friendly. Great service and very quick to respond to any questions. Keep up the good work Roxann. Roxann was a great help in working out what I needed. She got the boxes to me quickly and her service was fantastic. I cannot recommend highly enough! Roxann was extremely helpful and was able to deliver my order by the next morning. Fantastic service and well priced! Definitely recommend. Box Em Up was fantastic with great service - amazingly I had exactly the right amount of boxes for everything I needed to pack up a house during an extremely stressful time for me. I love that I could have returned anything I didn't use so that the products aren't wasted. Highly recommended. Best quality! Awesome customer service! Service is fast and personalised. I keep going back!!! Huge thunbs up! I have used Roxann's service on a couple of occasions in recent times and found her very friendly and willing to go out of her way to help. We had packers arriving at 7am and were short of boxes. Roxann organised delivery 9pm at night! Great service, quality boxes! Highly recommended.. I used BoxEm Up for a very odd shaped item to take on an overseas flight with me for my work requirements. I found Roxann to have the right size packages with all labeling required to allow me to check in my items without any problems and I was happy in the knowledge that the item was fully protected against any transit damage. I would definitely recommend BoxEm Up as an option to make any item packaging an easy and quick process within a very reasonable price range. I highly recommend Box Em Up. I had the most unusual request and needed a specific size box. Roxann went above and beyond to service my request. Thanks Roxann. I highly recommend Box Em Up, Roxann is extremely helpful and professional and has great customer service. Cost effective, prompt, friendly and reliable. One stop shop and right to my home; how easy is that. Definitely recommend Boxemup to anybody moving or needing packaging. Roxann was very helpful and provided quality products and service. Definately recommend her as she is reliable and friendly. Amazing service and products. I phoned Roxann to enquire about packing materials. She delivered boxes, paper and tape that day to my house while I was at work. She was a pleasure to deal with and I highly recommend her business. We used Box Em Up for our office relocation. The service was amazing, fast and efficient. Highly recommend, and would definitely use again. Well priced and Roxanne went well out of her to bring me additional packing items that i didn't initially realise i would need. Very good to deal with! Roxann was friendly, prompt with replying to my phone calls/texts, and a great help when it came to moving house- she delivered excellent quality boxes to my home and then delivered a second lot as we realised we didn't have enough the day prior to packers arriving. I highly recommend this business. We have used Box Em Up for boxes and packing supplies for our last 3 moves. 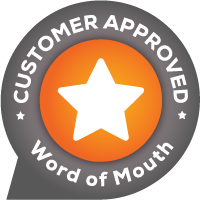 Always amazingly prompt service, quality supplies, and helpful with quality removalist referrals. I was recently working with my client on a huge relocation project and needed some packaging in a hurry. Roxann was very friendly, flexible and offered prompt service with quality products. I appreciated her advice and product knowledge. Supporting another local business was an added bonus. Thank you! Leesa MY SPACE Decluttering & Organizing. Roxann was excellent to deal with. Nothing was too much trouble. Communication was easy, service was professional and delivery was seamless and ahead of time. I would be glad to recommend Box Em Up to anyone AND intend to do that at every opportunity!! They were very accommodating, pleasant and professional. Cheap and quality. Will definitely use again and recommend to others. The best personalised servcie I have ever received. I am the director of a Fire Servcie and aspire to provide the servcie provided by Box em Up. AND the prices are great! Brilliant service, cost effective, efficient and professional. Roxanne was very helpful and delivered our boxes very quickly. Box Em Up is the best! Excellent range, fantastic advice and competitive prices. Roxann is so knowledgeable and helpful she made our moving preparations that much easier. It was so handy to be able to collect extra boxes when we needed them, even on a weekend. Thanks so much Box Em Up! Definitely a solid recommendation for anyone looking for moving products or advice. I thoroughly recommend Roxann and this company for their efficient and friendly help in a very stressful time. Nothing was too much trouble even coming over with more paper on New Years' Day!.. I would use them again. I could not recommend Roxanne from Box Em Up more highly for all your packing needs. Her expertise on what we would need for our move was greatly appreciated and her professionalism, promotness and efficiency in dealing with our order and delivering the goods to our doorstop, faultless. Any extra needs in packing materials as we packed were dealt with aa efficiently as the original order. Roxanne alleviated any added stress that can so often be a part of moving. Thank you Roxanne. Had everything I needed, available to pick up outside normal work hours. Very efficient. Friendly, local service. Reasonable prices. I recommend them for all your packing needs. Roxann is amazing. Not only helpful, but also very knowledge about her products. Highly recommend this business and it's owner. Box Em Up offered great prices, Roxann responded very quickly after my request, she was efficient and reliable. I would highly recommend Box Em up to all my friends. Roxann provided a terrific service and made the awful job of moving house so much easier. I will be recommending this business. Thank you. Roxann is a customer focused professional, and I would gladly recommend Box Em Up to anyone requiring packaging material. Excellent service, and a pleasure to deal with. Great prices, fantastic service, could not recommend a better person to deal with than Roxann or a better experience from an organisation. Roxann was fantastic to deal with responding promptly. Great prices and with a smile! Supporting local business whilst ensuring quality. Great communication, service and prices. Boxes come in a great variety of sizes. Will definitely recommend and use again myself. I used their service as part of an interstate move late last year. Roxann was awesome in how quickly she was able to not only get my initial order delivered to me, when I needed more boxes in a hurry she was there. She even came back again on the day that we were handing over the property to buy back our surplus. Above and beyond customer service. Just sorry that is has taken me around nine months to write the review as I promised. Fantastic prices and awesome service - highly recommended without hesitation for anyone going through the stress of moving house! Excellent service and reasonably priced boxes. Roxann is a prompt communicator and wonderfully helpful. She very efficiently assisted me in packaging up a valuable guitar for transport. I've been a repeat customer ever since. Easy and pleasant transaction every time. Roxann was super efficient and had our order ready as I made it. I was able to collect it from her without any hassle and everything we wanted was in stock. I have since seen a few of the items at Bunnings and Box Em Up was still cheaper. Love the option to sell the boxes back, its great to be sustainable too. I would highly recommend Roxann if you are looking are moving, it became one of the easiest parts of the entire shift! It was a pleasure to deal with Roxann. Boxemup are available, reasonable price and well stocked. We would definitely use them again. You can also return unused boxes. I found Box Em Up to have the cheapest new packing boxes available and Roxann was responsive and available quickly for delivery and pick up. I have used Box Em Up for a number of my house moves and they are the best around Brisbane. Definitely my 'go-to' business when needing packing supplies in any shape, form or quantity! I have no hesitation in recommending Box Em Up to anybody who needs assistance with items for moving or storage and Roxann's customer assistance is simply brilliant. Two thumbs up for this business! Prompt delivery, good quality materials and well priced. Roxann was friendly and helpful. Definitely the best way to get packed up: forget expensive thin boxes from Bunnings or scrounging from supermarkets, this is definitely the way to move. The quality and service was prompt and value for money :) They had everything we needed to move from Brisbane to Sydney. Roxann provides an excellent service - easy to contact, fast delivery and wonderful customer service. We moved our business office and Roxann provided everything we needed to do so. We will definitely us Box Em Up again in the future. Roxann provided superior customer service and was quick and reliable. We couldn't believe how accommodating and helpful she was being able to deliver our order on a weekend, and all within a days notice. Plus the products are fantastic and high quality for an affordable price. The entire experience was positive, quick and easy - exactly what we needed for a big house move! Wonderful service. Made a huge effort to be available at short notice & always helpful. Great range of products at best price on the north side. Will definitely use again. Roxann provides great service. She is able to give helpful advice on all aspects of the move. Roxann even made up a box with specific dimensions for my printer because it was an unusual size. She made urgent deliveries for me and went to no end of trouble to assist me. It was a pleasure to deal with Roxann and I would not hesitate to recommend Boxemup. Thank you Roxann. Roxann is extremely helpful, going out of her way to provide service over and above just selling boxes. She can offer help on everything about packing, storage and moving. Excellent service and great prices. Roxann was amazing. She was receptive to a very short notice order and gave me great advice. I needed her to arrive at a very specific time and she even helped me load the boxes into my apartment (thru the elevator). Great service. Would highly recommend. Roxann was amazing. So incredibly helpful and accommodating. She was so flexible with pick up times so to work around our availabilities. And the products were as exactly as described and approximately 50% cheaper than other places we looked. Great local company. If we have to move again (I hope not!) I will definitely be coming back to Roxann. Excellent service. I was short on boxes, called on a Sunday morning and was able to pick up boxes on the very same day a few hours later. This was my 3rd time using Box Em Up and they have always been very flexible and offered a great service. I would highly recommend! Excellent Service. Turned around my initial enquiry very quickly. Once we did the deal the goods were delivered exactyly when I was told they would be. Good quality merchandise. Very Impressed. Box Em Up offers great service and great products. Box Em Up had all the products I required to move house and all at very good prices. Roxann answered all my emails very promptly and delivered everything I ordered in less than 24 hours. Roxann also picked up the boxes I hadn't used and those I had within 24 hours of me emailing her. Highly recommend Box Em Up. Very Friendly and easy to deal with. Don't mind the fact that you have made multiple orders. There are a huge variety of boxes to choose from and the benefits of each choice you make has been explained well, easy pick up, very cost effective and the option of buy-back is a bonus. They have all the products you need to move with having to commit to a removalist company. Really good value. Fast. These guys are really trying to help you get what you need. Friendly. Really helpful business who were happy to open up early at 730 AM on a weekend in order for me to get boxes for my move. This kind of personal service in a small family run business is rare these days, Plus they recycle secondhand boxes and the prices are good! Box Em Up saved the day for me after I had trouble with another company. Roxann had an invoice to me within an hour of my initial panicked email and the items were delivered (for free!) the same afternoon. Both their products and customer service are excellent. I would recommend Box Em Up without hesitation and won't ever go elsewhere for packing materials in the Brisbane area. Thank you! I go to Box em up for all my business and domestic moving supplies. I haven't found anyone that matches Roxanne on price, service (including delivery) and availability (even weekends). Box em up strikes me as a very well run small business, and I am proud to support them. What fantastic customer service, boxes ordered and delivered the same afternoon. This is what customer service is all about.Well done Roxann. Thank you SO much for your help getting us ready for our big move. You made the entire process incredibly simple and were so generous with your time and knowledge! Your prices were extremely competitive and we love that we're supporting an awesome local family business. Will definitely be recommending you to all of our friends and family. Big tick for availability to either pick-up or delivery boxes & moving necessities fabulous. Roxanne was very helpful and accommodating with everything. Prompt service, highly recommend! Roxann was easy to deal with. The boxes are good quality and reasonable prices. Delivery is pretty quick too. Thanks for assisting. Moving is stressful, but dealing with Roxann was anything but! She has quality products and offered same day delivery (Brisbane northside). Highly recommended, go no further for your moving needs. Roxann was recommended to us via a removal company. Great service and excellent value for money. Roxann took the stress out of looking for packing materials. Thank you Roxann. Fantastic service. I organised boxes for our move with Roxann. She dropped the boxes to our door the following day at a time that worked for us. The boxes were new and in perfect condition. Will be using boxemup services for our next move and will recommend to friends and family. Boxemup came recommended to us by a previous customer. Roxann was very helpful and all of her products are cheaper than large retailers. We would also recommend others use this service. Fantastic service, good range and great prices. We will definitely be purchasing from Roxann again! Excellent experience, had a random email enquiry about flat sheet cardboard late on a Saturday afternoon, Roxann had me sorted and on my way within an hour + more solutions for the future. Really great, thanks Roxann. Roxanne supplied a vey friendly and efficient service. When we picked up the packaging she assisted us in packing the heavy 55 inch screen safely and helping manouvering it into the car. She went over and above the service we were expecting. We highly recommend the service. Fantastic service, quality products and great prices. I received a really quick response to an email sent out of business hours, and products were delivered sooo quickly! Was really surprised at the speedy turnaround! The whole process was so easy and the prices are much better than the storage companies I was looking at ordering through. Would definitely recommend Box Em Up for their fantastic service and great quality products at great prices. We are in the middle of having our new kitchen installed and needed to pack up all of our things. I was finding it hard to organise to go and pick up the boxes, so Roxanne popped over and delivered them along with bubble wrap and paper! Such a huge help to us, thank you so much Roxanne! Fantastic, friendly service! I have been using Box Em Up for several years and have found the product to be fabulous, the service is mega reliable and Roxanne is so friendly and helpful. Whether it is a single product you need to clean out that spare room or her whole supply (LOL) to move house you will always find exactly what you are looking for when using Box Em Up. Highly considerate service and professional advice. Thanks for the tip on the bubble-wrap, it was a big help! I would not hesitate to recommend Roxanne to anyone needing packing advice and products. We looked this home business through Google and Roxann has been such a great help to us from recommending the type of boxes, packing tips and providing great quality boxes at affordable prices. We had the flexibility to buy the products and return the unused ones for a refund after. She also accepts cash and cards and was able to accomodate to our timing when we said we were only able to get to her place after hours. Thank you Box Em up for making moving affordable and easy! Quality products and amazing service. The absolute pinnacle of customer care with very prompt replies and deliveries. Just the right packaging for my move. Cannot recommend highly enough, If only all businesses were this good. Keep up the great work Roxann! We found this service great with our move. Delivery of boxes was prompt, were given tips with packing and would certainly use this service again. Highly recommend. Absolutely fantastic service from Roxann. Exceptional value and so convenient. Will certainly be using their services in the future and recommending it to friends and family. I live close by so they delivered the day I rang (Sunday). Very friendly people. Saved me lots of hassle. Best prices I could find for the small qty's I needed. Looks like good quality supplies. Thank you! Roxann is amazing, she has all you need when moving. The products are well priced and the service is awesome. Thanks Roxann. I needed boxes for shipping items in my business and Roxann has great prices and a great variety of sizes. Very prompt, professionall and 100% reliable service. Pleasure to deal with the owner. The packaging was ready for me for be picked up on a short notice. Will continue to use for my business. Roxanne is a pleasure to deal with. Very professional, courteous and helpful. I wished I could have found her service years ago !! Awesome prompt service. Roxann was extremely helpful and came to the rescue. Needed acid free tissue paper to wrap a bridesmaid dress in to take overseas. Only remembered two days out and BOX EM UP came to the rescue. Roxann really looked after my needs very well - she went the extra distance - which might sound a bit odd when you are 'just' buying packaging, but when I thought it was going to be hard to leave my office to pick up, she quickly sensed I had a problem - and just fixed it with no fuss at all. I wouldn't hesitate in recommending BOXEM UP to anyone! This is now the second move where we have used BOX EM UP. Roxann is prompt in her service and a pleasure to deal with. The packing products received (boxes, packaging tape, butchers paper, tissue paper etc) were all of excellent quality. I will definitely be using BOX EM UP again when moving around Brisbane. I appreciated being able to speak to Roxann on the phone opposed to working things out online. She was also helpful when I was picking up the boxes as to which ones would be most suitable. All in all a pleasant experience. Thankyou Roxann. I required a box for my workplace. Roxann was very friendly and easy to talk to. She was driving near my office and delivered the item for free. I would definitely use this business again, and highly recommend them for personal or business. Always a pleasure to deal with Roxann. We have used Box 'Em Up several times and they are our "go to" company when we need supplies to move. Thank you again Roxann. Great to have suppliers like Box Em Up around. They are just what you need when packing your house. Good selection of everything you need and great service and quick delivery from Roxann. We were recommended Box Em Up by a friend who spoke very highly of the service Roxann provided, so we decided to give her a go. Well I think our friend understated her service, Roxann was just great, the service Roxann provides is over and above that you expect from stores today. Well done Box Em Up. Roxanne is an amazing and friendly person. She was nothing but helpful! She made the stress of getting the right box to ship SO much easier! Such a gem! A very professional, courteous, patient and understanding company where the customer service excels. Box Em Up...... Roxann was great, when I called to enquire about boxes for moving, Roxann explained what I would need clearly and easy to understand and within a few hrs Roxann delivered what I asked for. Quick, reliable, efficient Box Em Up is the company I would go with every time. Roxanne was a fantastic help when I needed help relocating to care for my elderly parents. Her knowledge and professional manner were very helpful . I got a great deal and love the versatility of bubble wrap ! Fantastic service and a very competitive price. Roxann had everything we need. She was a pleasure to deal with. No hesitation recommending Roxann from Box em Up. Totally professional and nothing too hard. Free delivery with a couple of hours of ordering. Excelled my expectations!!! Perfect. We just picked up 20 boxes for our big move from Brisbane to Stanthorpe and Roxann was great. She had everything we needed, not just boxes... and was also able to recommend someone that moves big loads for a good price. I'm sure we will need more boxes to move our decade of accumulation so we will definitely be back. I would recommend Box Em Up 100 times over because Roxann will go above and beyond what you ask. Also the prices are extremely reasonable and there is no obligation to buy more if you only need a small amount. Box Em Up also has the option of delivery if you are like a lot of people extremely busy. I love this feature and think it make the moving and packing a lot move convenient. Roxann made a challenging move much easier and affordable. She is accommodating and helpful, and provides quality products. She has everything you need for a move- big or small. Thank you!! Very happy with Box Em Up and the products offered. All very great quality at extremely good prices. Although I picked them up delivery was also very, very reasonable. Roxann was great from the get go. I hope I don't have to move again soon, but if I do in the future, I will use Box Em Up and I highly recommend Box Em Up to everyone. Thanks Roxann. Amazing service! Roxann responded to my email immediately and I had my boxes delivered just a few hours later. I would highly recommend Box Em Up to anyone. Good value for money & excellent customer service. Thank you Roxann for prompt delivery & following up with an extra delivery when requested. You made packing everything for house renovations that much easier. Moving House is stressfull. Dealing with Box Em Up is not! Roxann is fantastic, she had my order ready as soon as I was available to pick it up. Her products are of high quailty and great prices.... I will be ordering through her again, (miscalculated the amount of bubble wrap and picture boxes I needed). Roxann at ''BOX EM UP'' was prompt and very helpful,even delivered our last and third offer free,we picked up the previous two orders,This is our first move in 38 years and i'm on regular dialysis for my illness and really appreciate what Roxann did especially on a saturday morning,thank's a lot. Staff were very friendly and helpful. We had next day delivery which really helped us out. Well priced products that have lasted throughout our big move from office to office. Very happy customer!! Firstly fabulous service and secondly great products. I would definitely refer anyone looking for packaging products to Roxann and I shopped around, we will continue to use her products for our business, also because she's a great operator, friendly, polite and professional. Just brilliant. My boxes were ready to go immediately after ordering. Such fast and efficient service, as well as amazing value! Could not find a more competitive price. I strongly recommend! Roxanne is very lovely and accommodating of her customers needs. Thanks for your help with our move. Allowed for us to drop in and pay later which was much appreciated. Wow - what a wonderful service this business provides. Order online, delivered to my door and EFTPOS payment on delivery. Super easy - SUPER fast - great product! Thank you so much. Will definitely recommend to people in the future. I'm in the process of moving overseas and the process is filled with complications and new challenges. BOX EM UP has been a highlight of the whole experience with great advice, flexibility and packing supplies. I highly recommend going with BOX EM UP, Roxann is great. BRILLIANT SERVICE. I've suddenly been tasked with packing up a massive office within a week. Roxann answered my plea for help IMMEDIATELY. I was able to scoot over and collect what I wanted and pay with cash - invoice, change, products all ready and waiting. I moved house last month and Rox from Boxemup was sooo helpful. She gave me great advice on what typing of materials i'd need, was very reasonably priced, and even recommended a great moving company in my area. She didn't hesitate to go the extra mile to ensure everything went smoothly for the move, and I'd highly recommend Boxemup to anyone needing boxes or other moving materials. When I needed to immigrate back to New Zealand, I searched for shipping boxes online. I came across Box Em Up and Roxann and I'm very pleased to endorse her and her product. She was very helpful and quick with supplies. I ended up returning again a day or two later for a follow up order for another lot of bubble wrap and sellotape to finish of the last items to pack. Highly recommend and very nice to have met her. Hi, I found BOX EM UP via a google search. I sent emails out to several businesses but Roxann was the first to respond and gave me all the necessary information. I have been very impressed with her service and would recommend them to anyone. They made one stage of my moving experience a pleasant one. I needed my coffee machine carefully boxed for shipping. Roxann was very professional. She helped me pack my machine for a great price. Highly recommend Box Em Up. Very speedy service - received delivery shortly after ordering. Roxann is really helpful, friendly and provided me with excellent information regarding other services which may be useful when I move. Fantastic service which I highly recommend. Even though I left a msg (twice on different days for different orders), Roxann got back to me quite promptly. She is very pleasant, and even helped my husband put the boxes in the car. I have moved quite a few times and used other box companies, but Roxann had things in her stock I didn't know you could get. Her prices are very good compared to others. I googled hire boxes and found her's to be the best. She was opened over Easter which was handy for us. Good Friday we went and got our boxes, then needed more on Monday so another trip out. Her business is very efficient and the quality and service very good. Moving is never ideal, its stressful and costly. My partner found BOX EM UP online and and Roxann supplied a quality service, a hassle free and affordable option. The boxes themselves are durable and are now stored for future use, not one was torn or unusable. As a small growing business owner myself, Roxann followed up with an email providing local support & tips to further my business reach, which increased my level of satisfaction i didn't believe possible after such a pleasant purchase. I required boxes for my move and found Box Em Up on the internet. Roxann was a pleasure to deal with and I would definitely recommend her to anyone. The second hand boxes I purchased were like new. Roxann is great to deal with. I've used Box Em Up a couple of times now, and they're well priced and have everything I need. I will definitely use them again, and recommend them unreservedly. Such a cooperative, easy company to work with. Made delivery easy as I work nightshift and really affordable prices. Wouldn't choose a different company again. I cannot recommend this service highly enough. Response to my request was immediate and spot on. Delivery was super fast. The boxes are perfect. And most importantly, Roxann was such a lovely person to deal with! Roxann is friendly, responsive and amazingly flexible. A wonderful range of products to suit your move or just storage needs. I would recommend Box Em Up without hesitation to any of my friends. Box em Up's prices were extremely competitive and the service was excellent. Roxann was flexible and made this process extremely simple. I would absolutely use this service again and would highly recommend Box em Up to anyone who is packing to move or store items. BOX EM UP were fabulous to deal with. The owners go out of their way to assist with finding a way to protect items that are difficult to pack. They provide value for money and prompt service. I wouldn't go anywhere else for packing materials. I have referred several of my friends to them and they have all been WRAPPED - pardon the pun !! Roxann was extremely quick to reply to my enquiry and had some of the cheapest moving boxes I could find in Brisbane. Will definitely be using again. Great service and products.Much cheaper and more reliable than big companiesWe will use this awesome business again.. I texted Roxann with an order. An hour later it was being loaded in my car! Great service and a keen sense of customer satisfaction! Was looking for some removal blankets for wrapping around our PVC Fencing and came across Box Em Up. Great information on their website, great price, great service! Thank you Roxann. Roxann was so helpful and the boxes I needed arrived very promptly. Good quality boxes. Definitely recommend them! Great service and products, keenly priced. Fast delivery. On m second purchase I went to pick up on a Sunday, and Roxanne offered to rescue me after I ran out of fuel :O Highly recommended. Roxann from Boxem up was very professional in her delivery of service. I highly recommend this service. Roxanne supplies us with packing materials and boxes on a regular basis. We find her really helpful, professional, products are well priced and her service is the very best. Had to pick up some mattress bags and couldn't find them anywhere else. Called up and was able to pick them up as soon as was suitable to me and took about 5 min to sort everything out. Would absolutely recommend Box Em Up to friends and use the service again. Roxann was extremely helpful and a very pleasant person to deal with, very prompt response via email and also offers delivery to your door service if required. I had photo boxes personally delivered to me. The service was very quick and the cost of the prices was very good after comparing with other companies. I would definitely use Box Em Up again and would also recommend the company to other people. I needed some help and advice to pack up a parcel and Roxann was fabulous in meeting my needs, and providing me with the packing material required. Highly recommend Box Em Up! I found Box Em Up via a Google search as I was looking for packaging for my glass desktop. Roxann was super helpful, friendly and was able to find an affordable solution for my packing needs. I will definitely use Box Em Up for my needs in the future. Would absolutely recommend Box Em Up to friends and use the service again. Roxann was extremely helpful and a very pleasant person to deal with, nothing was too much trouble even when I requested packaging material after hours. Roxann from Box Em Up was brilliant. Nothing was too much trouble. Very very prompt response when urgently needed more boxes! Very flexible and easy to work with. Would very happily use Box Em Up again and again. I would have no problems recommending her to anyone. Roxann answered my emails promptly and I was able to arrange to pick up some boxes early on a Sunday morning which suited our packing schedule. Great prices. Great quality. I am really impressed with the high level of professional service that I have received from business owner Roxann from Box Em Up. Although my moving date is still sometime in the future, Roxann has on each occasion that I have contacted her, quick to respond and is always helpful with her advice and generous with her solutions to my problems while always providing a very fast delivery service. From my own past experience of packaging and storage companies I am very impressed with Roxann's, as she has surpassed them all and I highly recommend Box Em Up. I bought some packing boxes and tape and Roxann was more than helpful with quick replies and excellent service. I called into Box Em Up's premises to pick up some boxes, butchers paper and packing tape while I was in the area. I did not call before hand as I googled the information from the car. When I arrived I saw the request to call for prior arrangement on the gate. I called the number and Roxann advised me that she was not at the premises but someone else would assist me. Her husband provided all the product I needed and was very friendly and helpful. The pricing was very reasonable and their payment system was ideal for my circumstances. I would not hesitate to use them again and highly recommend them. Good quality products and fantastic service always with a smile. Roxann was very friendly, never pushed products and offers comparative prices to other places I checked. She even offered to drop items off anytime if I couldn't get to her. Service like this is so rare these days, no doubt her business will continue to be successful with customer service like that. Wow! Awesome service! The wife and I had to move and turn things around within 3 weeks. So much to sort out and organise. Who even knows how to select a good 'box and packaging' supplier? Is there such a thing anyway? Well yes there is. My wife came across Box Em Up by doing a quick Gumtree search and Roxann was awesome from the get go. Excellent communication and soooo friendly. After initially getting in touch in the morning - we had our boxes and half our house packed by that evening. She supplied everything from bubble wrap / tape / tape gun / boxes / clothes bags / porta-robe etc. Yesterday we realised we had under estimated our box needs and after spending a couple of hours debating if my wife really did need all of those shoes (I lost the debate) I contact Roxann that evening and the next day I had my boxes. I also needed a box for an iMac which Roxann sourced for us. Awesome service. Awesome communication. Great person :-) Don't go anywhere else. Great products and super fast free delivery - within 2 hours! Would definitely recommend to anyone moving - cheaper than anyone else I found on the internet. I would highly recommend Box Em Up to anyone who needs the stress and hassle taken out of moving! Roxann was quick to respond and I was able to purchase everything I needed on the same day, after hours! Excellent service with a great attitude, thank you so much. Fast friendly service with a full range of options to choose from. I am very happy with my overall experience. Immediate call back, immediate service with free delivery with a discount, friendliness, helpful advice and it was personal. I will definitely use Box Em Up again. Thank you very much Roxann! Great business, great service. Would definitely recommend to anyone moving house in the brisbane area. I have used Box Em Up twice now and wouldn't use anyone else for my moving house needs! Fast, efficient, friendly and trustworthy. I was very impressed with this company. The quote I received for the boxes and packing sheets was a great price and the quality looks very good. Roxann was really friendly and flexible with my pickup time too. I would highly recommend Box Em Up! Great friendly service and was super easy to pick up the packing materials I needed. The price was very competitive and no sacrifice in the quality. Thanks Roxann! Thanks Roxann for the great friendly service. We were able to get the materials we wanted when we needed them. No order was too small. Your great advice and service made our move to a new house much easier. Thanks again. Roxanne was incredibly helpful. Products were very well priced and the service second to none. We have been looking for a local supplier for our packing products. We have found them! I found Box Em Up's box prices were very reasonable compared to the major storage places. I liked that you could buy boxes in any amount (not just in lots of ten like some places) and they had a good variety of products. Roxann got back to me straight away with a quote and organised delivery the very next day. Excellent service. I will be recommending them to my friends. Roxann was extremely helpful, we made a quick call and were able to drop in immediately to collect packing boxes. She had everything necessary for a move including all other packaging materials and tools available at a great price. Enjoyed the complementary mints too! Roxann was so happy and helpful.. Delivering boxes the same morning which simply stunned me. Great customer service and strong boxes at a good price. I would highly recommend Box Em Up for all your moving & storage requirements. Roxann provided expert service & nothing was too much trouble even at short notice. Her wide range of packing essentials other than the usual various sized packing boxes, she supplies file boxes for important papers etc, specialised packing for mirrors, paintings & the like, bubble wrap & much more at very competitive prices. I found Roxann to be honest, reliable & caring in all my dealings with her. Was moving interstate, 2 days out realised we didn't have box for our 58inch plasma tv. Google came in handy and came across Roxann who had the most affordable price. Contacted Roxann and she responded pretty much straight away and was willing to work around us with delivery timings. Communication was brilliant and responded straight away and catered for our needs. Highly reccomended and saved us the hassle and stress for last minute interstate move. Even gave us the option for package including tape, bubble wrap etc for packing needs. Even sent a follow up email to say thankyou and checking up on how out move went. Don't bother going anywhere else. Price overall is among the cheapest but Roxann delivered free to us. We had to have a few bites at the cherry decide how much we needed and Roxann was able to do multiple deliveries to accommodate us. BTW you ALWAYS need more than you think. Picked up packing boxes on the Easter weekend with no problem at all. Lovely family, very helpful and friendly (including Cashie the family pooch!). Boxes were of great quality and well priced, much lower in $$ than the others I researched. I would not hesitate to use them again! Roxann was extremely helpful and provided the perfect product to suit our needs. She even delivered the product straight to our door. Highly recommended! Would use again! The service from Box em up was outstanding. I was helping my in-laws move and needed boxes at a good price and local. we purchased boxes twice, as we needed more, we called in the morning and picked up the boxes the same day. I have recommended Box em up to friends already and wouldn't hesitate to do it again. 10/10 for products, service and professionalism. 5 stars for competitive pricing on packing cartons. Easy pick up service, friendly business owner, even threw in a few freebies such as office chair cover and mint lollies, yum. Roxann was lovely - friendly and helpful. She assisted me in working out what I needed. She also carried the boxes and helped load them into my car. Prices were the cheapest I could find. I'll definitely use her services again and can highly recommend her. We were able to pick up the boxes and packing materials we needed at very short notice. Great service and took a lot of stress away the day before our move! Great prices for moving boxes, excellent service, lovely home business. Saved EVEN more than their already excellent prices as there were some second hand boxes available. Will be returning if I need more boxes. BOX EM UP was able to deliver the boxes to us at short notice. And they were the cheapest we could find. I would recommend that everyone give them a go. Many thanks Roxann. Box Em Up provides a great range of excellent quality, competitively priced packing supplies for all your moving needs. I used several sized boxes, butcher's paper, some bubble wrap and tape (love the tape dispenser!) and a few archive boxes for document storage. The service is excellent: enquiries are answered promptly; service is flexible; and staff are helpful, friendly and efficient. Box Em Up was recommended to me and I'll certainly be referring them to anyone I know. I did some shopping around and BOX EM UP had the best prices and best of all they were local. Sent an email (on a Sunday) with my order requesting to pick up and received a reply within 15 mins advising the items were ready. Just another 15 mins later, I had all of the items I requested in my car and was on my way home to pack. Roxann was polite and friendly at all times and thoroughly helpful. She even helped with a recommendation of a better priced moving company for my move to Melbourne. Highly recommended. I highly recommend Box Em Up! I had to move on short notice and without Roxann's help I would not have got through it. My emails and phone calls were always answered straight away and I always had what I needed within 24 hours of needing it. Thanks to Box Em Up I had a stress free week of packing. Ordered boxes one evening, arranged to pick up the next morning. My order was ready to go, and Roxann helped load them into my car. Very quick, very easy, very cheap. I ordered some packing boxes and mattress covers and within the hour they were delivered. I did looked around for something affordable and I found boxemup to provide same quality boxes but at an affordable rate. The fast delivery was even better. I definitely recommend Boxemup to anyone looking for packing boxes etc. Roxann is a very lovely person who will definitely get the goodies to you. Thank you Boxemup for the great service! I am packing up baby furniture and boxes up some of my baby clothes and Roxann was very help and have me some handy hints. Ps the packing tape is amazing and strong! I enquired about boxes, etc. for a move. My enquiry was vague but still they were able to help with an estimation, etc. which ended up being spot on for what I needed. I obtained packing boxes for our move on three occasions and on one occasion Roxann even helped me carry them to my home which was not far away. Now how's that for first class service! Very efficient service and nice people. First time order, good quality products noted after using a few items ordered. Very happy thanks Box Em Up and Roxanne! Definitely the go to in the future! Moving around Christmas time I had found that other moving supplies providers were closed for the break. I called box em up outside normal office hours (about 7.30pm) and nothing was too much trouble. I arranged to pick up my boxes and other items the following day. Roxann was friendly, helpful and a pleasure to deal with. The prices were extremely competitive compared to other suppliers as well. This is the second time we have moved and purchased boxes from Box Em Up. Roxanne is great to deal with, never a problem to fit in with your requirements for collecting or will deliver if needed. Prices are great, and she will even buy your old boxes back when you are done. The cheapest and easiest part of the moving process by a long stretch! And don't forget her tape -- sticks way better than the tape from the stores. Overall, highly recommended. Roxann is very knowledgeable and is always only too happy to help. Even though I went to her office to collect, Roxann offered to deliver the boxes I purchased to my house at no extra charge. I found her rates very competitive and even bought extra things when I was at her office which I totally forgot I needed. Bow Em Up has everything! Plus Box Em Up is a family owned and locally run business, something I always try to support. Thanks Roxann! I found Box Em Up offered a great service. Not only did they have the products I needed at a reasonable price and good quality. Roxann even came around and packed a mirror I had that I was a little worried that would get damaged in the move. Roxann helped me find the right removalist as well. Using her service has saved me a lot of time money. As with the original removalist I was going to book was way more expensive then the one she recommended. I would recommend BOX EM UP to anyone who is moving. As it was so much easier and stress free with them. I have used Roxann's services at Box Em Up a few times now, and if I wasn't moving interstate I would definitely continue to. Her customer service goes far beyond what is expected, she goes right out of her way to help when I really need it, delivering the supplies and organising someone else to deliver when I was in dire straits while she was away with her family. Roxann's "nothing is too hard for my customers" attitude and friendly nature is second to none, and I will always highly recommend her. She also recommended the services of a removalist company to get my family's belongings down to Victoria and she saved us money and alot of potential heartache in doing so. So thank you Roxann your business is 5 star in my eyes! Excellent service, great price, went out of their way to get my purchase to me without extra cost, very friendly and quick response to email. Highly recommend!!! Excellent service, so helpful and great pricing on items. Went out of there way to sort out my needs and my budget. Fast efficient and friendly service. I did however get an extra box and was not charged for it. Thank you. I bought boxes from Roxann and she has been nothing but helpful. Once we had moved and had boxes left over she even bought them back from her. We could not recommend her anymore than we do! She had what I wanted & was local, paid a lot more for less elsewhere, thank so much! Know where to go in future! Roxanne was great! Help me to decided the number of boxes I needed. Had all sizes I needed and even bubble warp. A one stop shop for packing. The best thing the boxes were so easy to pick up we just walked them out to my car. Roxann is a super hero! Within 2 hours of ringing her on a Saturday afternoon when I discovered I'd run out of tall boxes (removalists arriving Tuesday), she had them to me. Friendly, efficient, great value - saviour! Even gave me a tip on packing up my water bed. I will be recommending her to everyone I know. Roxann from Box Em Up is remarkable speedy in delivering packing boxes on short notice, she has been more helpful than any other subcontractor I have encountered as a Facilities Coordinator.. I would highly recommend Roxann's business to everyone. Great service, great prices, online payment options. Roxann is just amazing, very helpful, professional, prompt, friendly. Made my moving/ packing smooth and pleasant process rather that stressful one. I will be using her services again! Roxann gave great personal service and advice, and I feel very happy to recommend her business to anyone moving house or putting items into storage. The whole experience was like visiting a friend rather than buying supplies for moving house! Great service from local small business. Will definitely use again or recommend - great prices. Quick responses to questions - able to pay online. Wide variety of packing materials delivered to our home, within 2hrs of first contacting the business. Excellent customer service. Fast and friendly same day service. Following an internet search, Roxann had the cheapest boxes (new and used) for moving. I will be using this service again. This local small business has everything you need for packing and more! Excellent service and plenty of stock. Thanks! Roxann was very efficient and helpful, also very good value as I shopped around a bit before going here. Roxann was so efficient and made our job packing to move easy. With the delivery of boxes same day and then to top us up was excellent. Everything we needed was in the pack - including a water bottle. Once we moved she was there to collect our boxes and buy them back. Anyone moving should definitely consider using Box Em Up. The greatest personalised service from a family owned business. Professional and prompt service from initial inquiry to delivery and assembly of goods. Descriptions of boxes were given with accurate size dimensions, which allowed me to assess the quantity I required. Goods were delivered in brand new (excellent) condition and I was shown personally how to put the articles together. An online video link was also provided if I needed to review the assembly instructions. Extremely satisfied with all aspects of this business. I had the pleasure of using Box Em Up when we sold the family home. We needed lots of packing boxes and in a hurry. Not only was this organised overnight, this lovely lady delivered them personally and I live an hours drive away from their base. This wonderful business went beyond the normal call of duty with their customer service and I never hesitate in recommending Box Em Up to those that are in need of brilliant service and of course packing materials. Thank you Rox. It was a pleasure dealing with you.